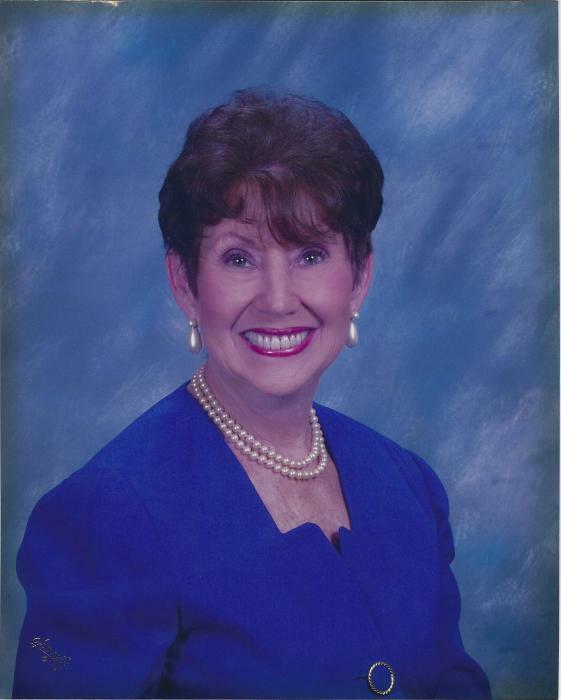 Mary “Jo” Broyles Bunnell, 83, died Friday, February 1, 2019, at North Mississippi Medical Center in Tupelo surrounded by family. She was born in Hall, Tennessee November 14, 1935, to the late Joe Lewis and Naomi Ditto Broyles. She graduated from Tech High School in 1953. A Christian, she was saved at the age of 16 in 1951 at the Billy Graham Crusade in Memphis. In 1962, Jo married her late husband, Calvin Bunnell. She and her family moved to Tupelo in 1963 where Cal opened and ran the Singer Sewing Machine Store until his death in 1996. In 1964, Jo opened Tupelo’s Mamselle Wig Salon that she ran for 20 years. Later she worked to build a very successful, award-winning 30-year career as a realtor. This career was her passion and her clients became her extended family. Cal and Jo shared many years traveling, boating at their beloved Pickwick Lake and spending time with their grandchildren. Jo was an extremely talented artist and served in various positions in the Tupelo Art Association. She was overwhelmingly generous to her family, clients and friends. Her greatest joys were her grandchildren and great-grandchildren. She had great faith in the Lord and was a member of Belden Baptist Church at her death. Survivors include one daughter, Vicki Jarrett (Mark) of Tupelo; step-son, Ronnie Bunnell (Jane) of Tupelo; one sister, Reba (Charles) Russell of Inverness, FL. ; grandsons, David Carlisle (Shannon) of Saltillo, Matthew Carlisle (Christina) of New Orleans, LA; Justin Carlisle of Tupelo, and Patrick Bunnell of Tupelo; two step grandchildren; Courtney Wilemon (Trey) of Tupelo and John Mark Jarrett (Ashley) of Ecru: great-grandchildren, Caroline, Anderson, and Graham Carlisle of Saltillo and Liam, Adele, Cal, and Theo Carlisle of New Orleans; step great grandchildren, Mac and Clara Wilemon of Tupelo and Oliver and Adelyn Jarrett of Ecru. She was preceded in death by her parents, her husband, and a sister in childhood. Services will be Monday, February 4, 2019 at 1 PM at Holland Funeral Directors-Tupelo Chapel , with Bro. Jim Holcomb and Dr. Jimmy Smith officiating. Visitation will be Monday, February 4, 2019 from Noon to Service Time at the Tupelo Chapel. Private Burial will be in Tupelo Memorial Gardens Cemetery. Pallbearers will be her grandsons. In lieu of flowers, the family requests that memorials be made the Sanctuary Hospice House, P. O. Box 2177, Tupelo, MS. 38802 or to New Beginnings International Children’s and Family Services, 2164 Southridge Drive, Tupelo, Ms. 38801. The family would also like to express their gratitude to the staff at Magnolia Manor for the friendship, care and love shown to our Mother and Grandmother during her time there.